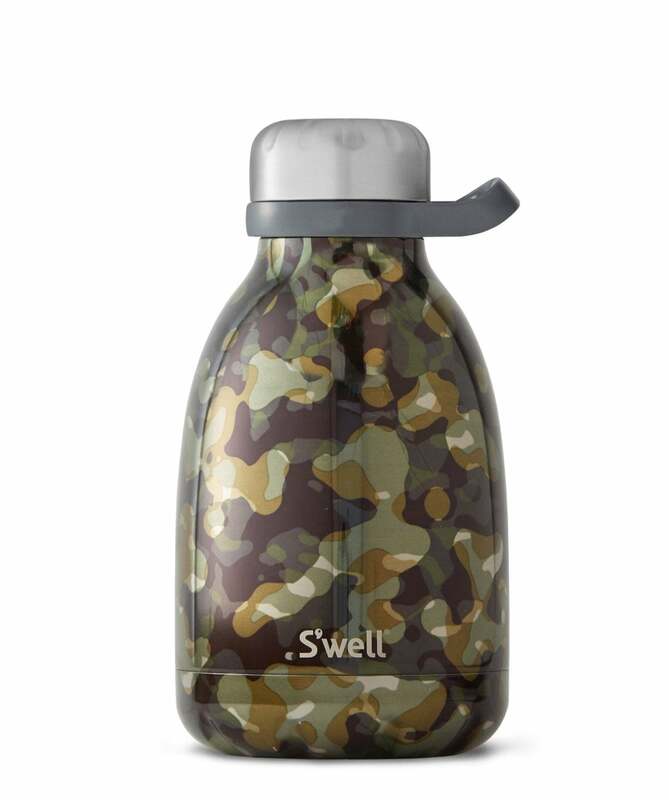 Introduce effortless style into your outdoor accessories with the S'well 40oz incognito roamer bottle, providing an elevated take on the classic camo print. Expertly crafted from stainless steel in a triple walled construction, this bottle features a screw top and vacuum sealed insulation, ensuring your cold drinks stay cold for twenty four hours and hot drinks hot for twelve hours. Complete with a practical carabiner clip hook attachment, you can stay hydrated wherever your hike takes you.